The expansion of Double Up Food Bucks, a program operated by the nonprofit Fair Food Network, has been highlighted in Bridge Magazine’s Michigan Environmental Watch. 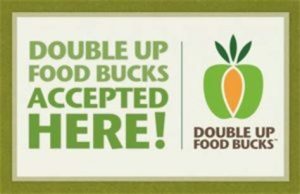 Double Up Food Bucks provides dollar-to-dollar matches to people enrolled in the federal Supplement Nutrition Assistance Program when they purchase certain healthy foods. The program has been expanded to include hundreds of farmers’ markets and grocery stores across Michigan. Double Up Food Bucks makes it easier for low-income people to purchase fresh fruits and vegetables. The program also incentivizes purchases of milk as well as fresh, frozen, or canned fruits and vegetables. Public Policy Associates, Inc. is evaluating the Michigan Health Endowment Fund’s Nutrition and Healthy Lifestyles grant stream, which supports the Double Up Food Bucks expansion effort.